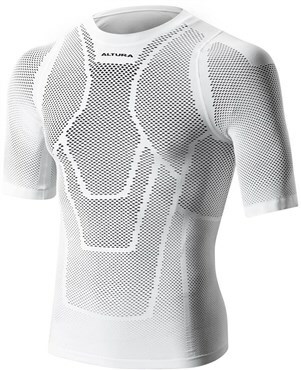 Offering great warm weather breathability and comfort, the Altura Dry Mesh short sleeve baselayer works to keep you cool and dry while you are cycling. Altura Dry™ moisture management technology is combined with an open mesh knit construction to deliver superior breathability and comfort on warm summer rides. Altura tubular body mapping construction offers improved air flow to help keep you cooler.